Andrew: Sooooo . . . this weekend was such an insane beer weekend that it’s hard for me to decide what and what not to include. I’ll start with Thursday night (still in NYC): Enjoyed a Russian River Blind Pig IPA this evening before heading off to Portland. (Side note: I had this shipped to me, but I won’t say which store because it wasn’t the best ordering experience). This is probably my all-time favorite (Single)IPA (i.e., not counting double IPAs, etc). The grapefruit aroma and citrus flavor is very strong in Blind Pig. I’m a sucker for citrusy IPAs and this is one of the best. I then tried a North Coast Old Rasputin Imperial Russian Stout (that I got from Letspour.com), which is just a very solid, tasty IRS. Strong coffee flavor. The head was like a thick milkshake. Both beers were a delicious way to start the beercation. On to Portland . . . I got a tasting of the Pilot 1 (Pale Ale), Pilot 2 (saison), Collaboration II saison (a collaboration with a female homebrewer in D.C.—sorry, I forgot her name, I didn’t have my reporter hat on at this point), and Mean Old Tom, which I’ve been wanting to try for quite some time. I really liked the Pilot 1—very light and refreshing and exploding with citrusy hop aroma. The Pilot 2 was good, but didn’t stand out to me as being an extremely unique saison and the Collab II tasted exactly the same, but like everything MBC does, they were all very nice. 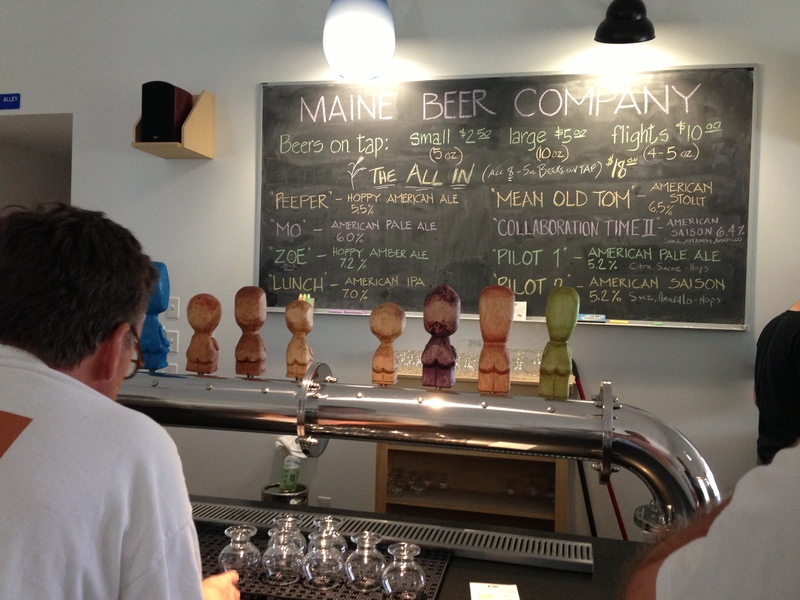 Mean Old Tom was great—nice coffee flavor, smooth stout. Now I’ll go back in time to THE FESTIVAL . . . 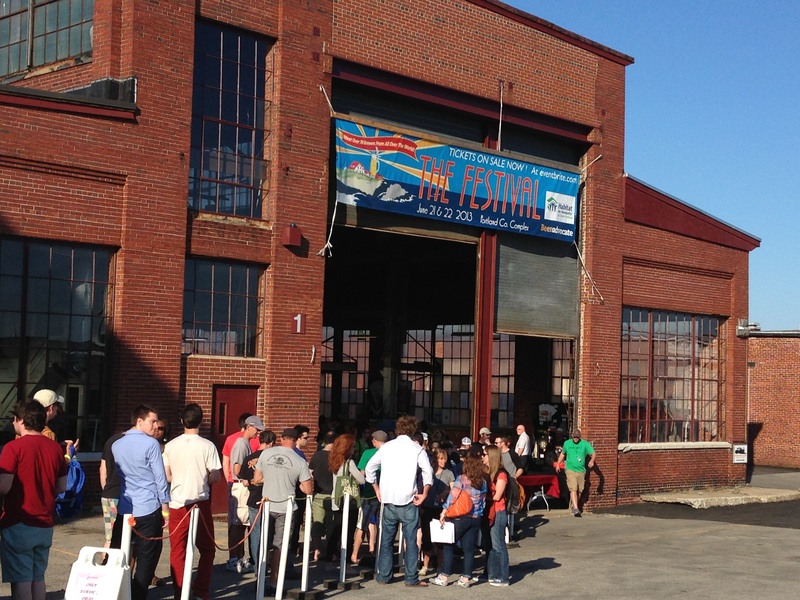 I attended the first session of THE Festival on Friday, June 21. It was a truly mind-blowing beer experience. My general thoughts: wild/sours are the big fad. It seemed like everyone there was serving at least 1 and sometimes that’s all people were serving. The event was well run, except for the fact that the people pouring were not allowed to try the beers so could not really give their opinions beyond what the beer was. It was great to speak with some of the world’s top brewers, including Jean from Cantillon. 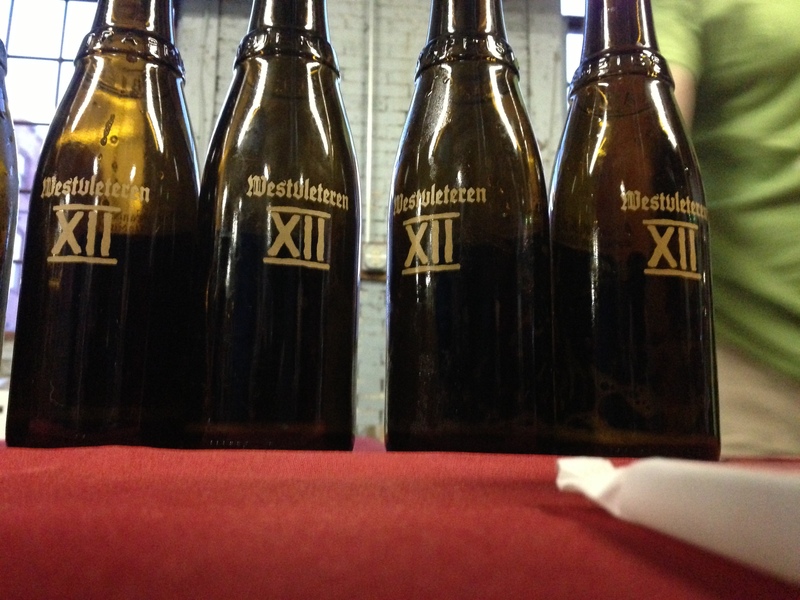 Westvleteren 12 – I’m lucky to have a brick of my own, but I will never pass up having this beer. By the end of the festival, my friends and I all agreed that this was still the best beer at the festival, though it’s hard to compare with all of the great guezes and lambics we had. It’s so special and totally lives up to the hype. Drie Fonteinen 1998 and 2001 guezes and Kriek (not sure of vintage) — apparently there was the 1999 also, but I only had these 2. And they were amazing. So smooth and complex. It’s hard to believe that this beer was bottled when I was still in high school. Cantillon Zwanze, Gueze, Iris, Kriek — all of the Cantillon beers are amazing. They are just beer wizards. Each beer has just the right levels of sour to fruit flavor. I was actually slightly disappointed in the Zwanze, though it was very good. I enjoyed the others more, and knew that the Zwanze was supposed to be their best and most limited. It was very sour and I prefer a lambic that isn’t quite as harsh. 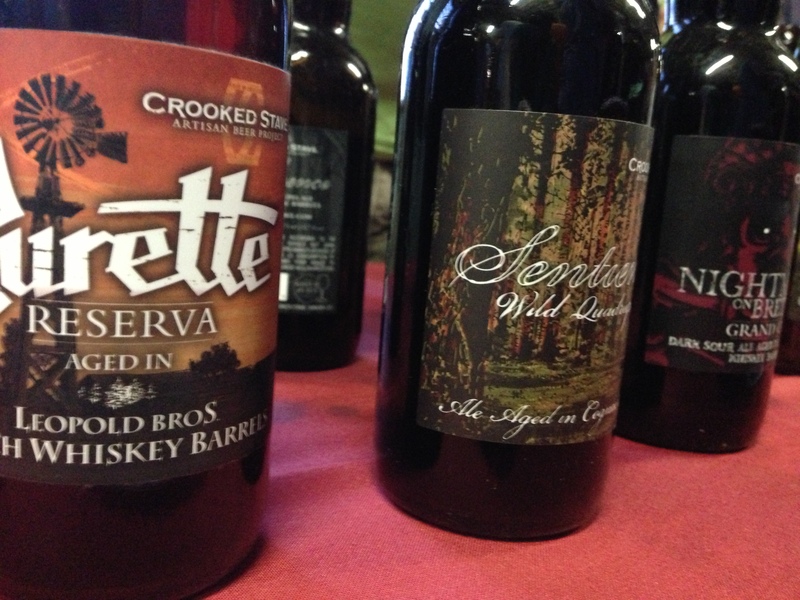 Crooked Stave limited Surette in peach whiskey barrels, Sentience, Nightmare on Brett and the new summer St. Bretta with blood orange are all incredible. I am a huge Crooked Stave fan ever since they started distributing in NYC a few weeks ago. Love everything from them and hope they continue to send their stuff up here. The Nightmare on Brett was probably my favorite of the 3 limited bottles. I’ve never had a dark sour like this and it was such a nice balance of caramelly malts and sour. Really unique. I never find their beers too harsh in the sour department, which is why I love them. They are so refreshing and yummy and just get better/change with every sip. 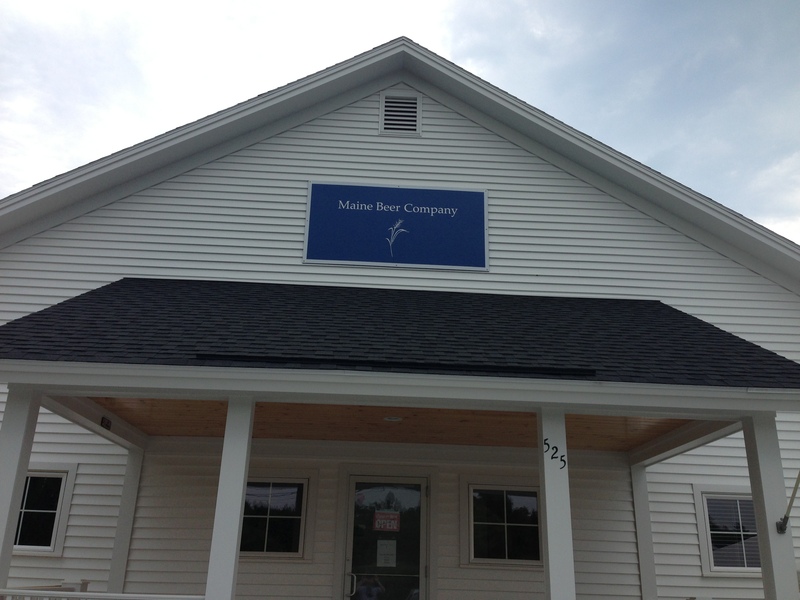 Hill Farmstead Flora and Walden were also great and I went back for a few tastes of these. Had a couple Dieu Du Ciel that were amazing and never released in U.S., including a fantastic super hoppy triple, called L’Herbe à Détourne, which was one of the highlights of the tastings for me. It had that nice sweetness you expect from a triple, but with a great hoppy aroma and bitterness to balance the sweetness. OK, I’m going to stop now and post the rest of the beercation events in a 2nd part . . . To Be Continued . . .